At Animal Medical Center of Cascades, we take pet dental health very seriously. Did you know that by age three, 80 percent of dogs and 70 percent of cats have some evidence of periodontal disease? This ailment can cause mouth pain and tooth loss and make eating difficult. At advanced stages, bacteria from the mouth can enter the bloodstream and cause heart, liver and kidney complications. 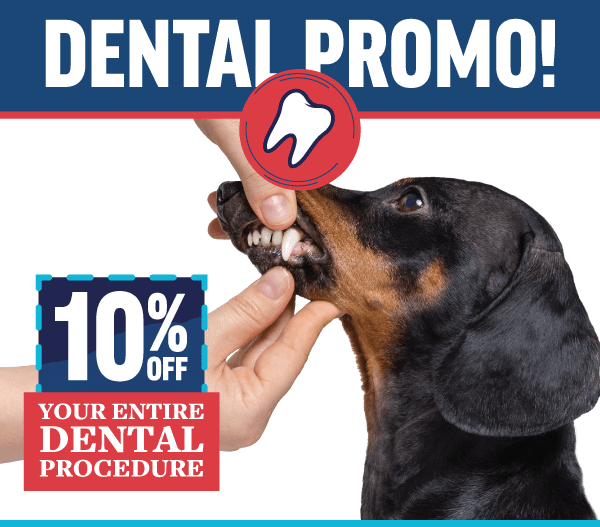 Because we are very conscious of how dental health affects a pet’s well-being, we are proudly offering 10% off your pet’s dental cleaning procedure* in February! This special will run all through February, but please note—our spaces fill up quickly. If you’d like to make an appointment, we highly suggest you do it immediately. You can call us at 703-956-1522 or book online. We look forward to taking care of your pets’ teeth!